Group Conflict Mediation and Team Mediation from CAOS Conflict Management can help in resolving conflict in workplaces, community groups, management committees, neighbour disputes, religious groups and others. We have experience of providing support in such situations for public sector organisations and community groups of up to 20 people, however in essence disputes within larger groups can also benefit from mediation or possibly conflict management workshops, conflict coaching and other support available from CAOS Conflict Management. 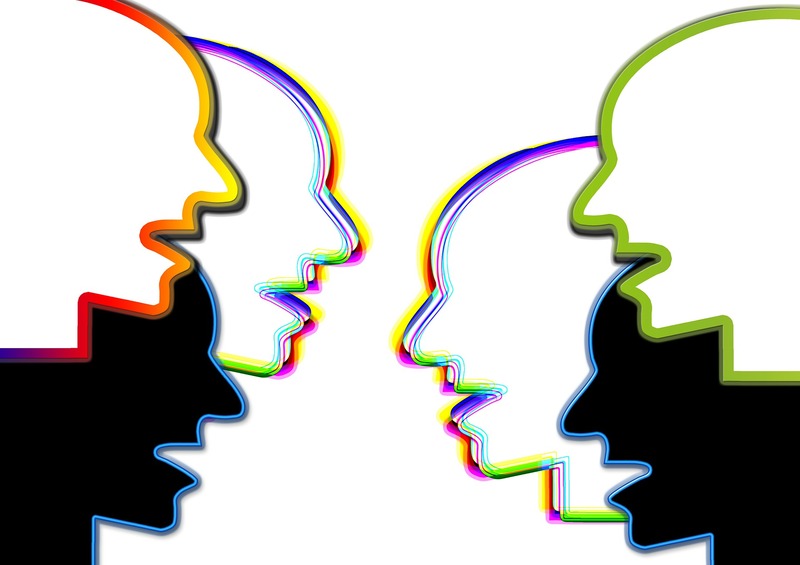 How do we go about providing Group Conflict Mediation? A confidential, individual initial mediation meeting is offered to all members of the group experiencing the unresolved internal conflict so that they can discuss their own perspective of the situation and share any concerns they have, as well as any ideas they have for resolution. During this meeting the mediator(s) will explain how the mediation process can help them to express both their concerns and their ideas in a way that helps to contribute to resolution of the group or team conflict. In the meeting it is emphasised that mediation is a voluntary process and at that stage it may be that they choose not to participate further in the process or they may have attended the individual meeting sceptical about the process but are now reassured of its capacity to support the creation of a better way forward. It can often be the case that simply having the individual meetings with some or all of the group members can help in the situation as it gives them a 'safe space' to discuss their concerns and focus on what could help improve the situation. Sometimes the ideas generated can be immediately implemented before a joint mediation meeting of the whole group has even occurred and can help towards resolving the situation. A noticeable benefit of this approach is that we have often found group members to say that they feel both surprised and reassured that their organisation has taken steps to ensure that their voice has had a chance to be heard, even if 'only' within a confidential initial meeting. The commitment shown by the organisation to wanting to resolve the group conflict in this way, without having the stress and potentially threatening experience of recorded meetings, parties accompanied by advocates etc. can be a surprise to many group members and adds a positive momentum to the process. Once the members of the group or team who wish to take part in the group conflict mediation have had their initial mediation meetings, the group meeting is then arranged. This will usually be a meeting of up to 3 hours with the possibility of further meetings should it be felt that the situation has not been fully resolved but the signs suggest a further meeting would be useful. It is often the case that further meetings have not been requested as one of the immediate benefits of a group conflict mediation approach is that it ensures an opportunity for all views to be heard without being 'shouted down' or having to 'prove' or 'justify' statements. Instead the process encourages expression of the views of those attending followed by a focus on moving forward from the difficulties described towards creating a better way of relating, working, interacting etc. whatever is relevant to each situation. As a result a sense of 'good faith' can occur and so it may not be felt necessary to have further meetings facilitated by an external mediator, but instead a different understanding of the issues can be taken forward just by those involved. Additionally it is also often the case that the way(s) in which meetings have previously been conducted have not been seen as effective and so new practices are created in the mediation meetings that are then carried through into future meetings of the groups. In group disputes involving, for example, neighbours living in a street, it may not be that they normally have group meetings but what can, instead, emerge from such meetings is a way of addressing concerns in the future in ways that are not felt to be aggressive or inflammatory etc. for example when calling on someone about a parking or noise issue, or perhaps a child behaviour issue. While the outcomes that are created always come from the participants themselves in mediation, the above are examples of the kinds of things we have seen happen as a result of group conflict mediations and they arise because the process is designed only to focus on creating better ways forward in any situation and does not support adversarial intentions or actions. Please note that if you are not based in the London area we may have CAOS-Practitioners in your area who will provide the same process, so please contact us anyway if you would like support with a group or team conflict. Here's a Handbook to help you practise more effective communication and to review and improve how you are responding to unresolved conflict: The CAOS Conflict Coaching Clients Handbook Buy Now for just £4! or click on the image to find out more. Train to be a Conflict Coach with CAOS Conflict Management! Help people on a one-to-one basis to create more effective ways of communicating and responding in their conflict situation. Mediation Skills Training from CAOS Conflict Management. Join our 6-day course and learn to provide a highly effective tool for others to use to resolve their disputes.